The application of human factors/ergonomics (HF/E) in the nuclear industry provides practitioners with opportunities to design systems and processes, whilst ensuring the safety of workers and the public. There are multiple features that make the industry unique such as the regulatory regime, political aspects, public perception, timescales, level of detail and the hazards. The safety case for a nuclear facility requires qualitative and quantitative elements. It is a challenging industry with many different types of project from building new facilities to decommissioning ageing plants. 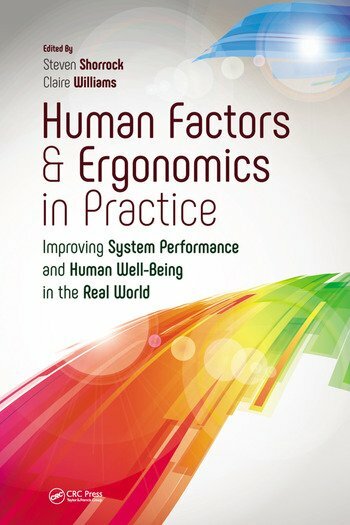 This chapter reinforces my belief that it is essential for the successful HF/E practitioner to have thorough sector knowledge, preferably gained through bottom-up experiences. This entry was posted in Part 3: Domain-specific issues and tagged accidents, decommissioning, energy, gender, infrastructure, legislation, methods, nuclear, politics, public perception, regulation, risk management, safety, safety cases, safety management. Bookmark the permalink.